Bitcoin has gained legitimacy, despite skepticism, and now it's even insurable against theft. Insurers are finding ways to reduce the risk to clients of investing in bitcoin. 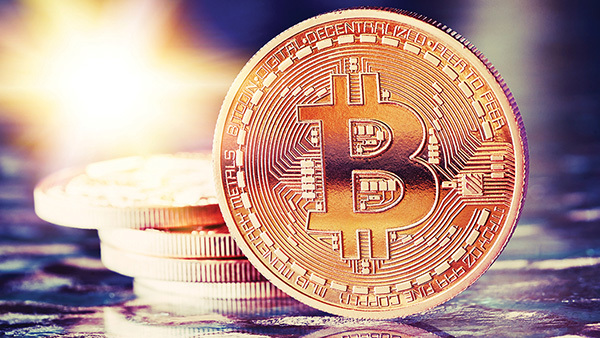 Despite some early and perhaps dubious associations, bitcoin has gained legitimacy. Respected names are flocking to invest in enterprises set up to facilitate its use. Now it’s even insurable against theft. Bitcoin is a decentralized digital currency that is not issued or maintained by any government, but instead is generated and transferred by means of powerful computers and encryption methods. Its value fluctuates with the market, and it has no physical coins. Instead, it exists by means of public and private keys—long strings of numbers—that maintain its balances. Users like it not just for its much-vaunted anonymity, but because transaction fees can be lower, since bitcoin transactions bypass banks. Users of bitcoin have both a public and a private key tied to their balances. Think of the public key as doing the job of a bank account number; that’s how people know where to send bitcoin to execute a transaction. Bitcoin can be kept in cold storage (think savings account) or in a “hot wallet” (think the wallet in your pocket). The private key, which users need to authorize transactions, functions more like the PIN for an ATM. Hot wallets can sometimes be as risky as carrying a lot of cash, though. Just this year, hacks of some exchanges’ hot wallets resulted in losses in the millions when security measures came up short. That could be a thing of the past now. BitGo, which operates a multi-signature platform and wallet, has partnered with A-rated insurer XL Group and Innovative Insurance Group to create a product that actually insures bitcoin against theft. BitSecure, the new product, provides coverage against theft for up to $250,000. Ty Sagalow, CEO of Innovation Insurance Group and of Bitcoin Financial Group, warns there are still risks involved with bitcoin that are not insurable—think price fluctuation—or that are not appropriately insured by BitSecure. The insurance itself, a cyber and professional liability policy, is customized for BitGo customers. Customers who opt into the program are, according to the company, “protected from acts, errors or omissions of BitGo technology, processes and employees, including external hacking incidents and employee theft.” The coverage extends to both hot wallets and cold storage. Similar to the way Federal Deposit Insurance Corporation (FDIC) reimbursement works, the policy will reimburse depositors directly for up to $250,000 in lost or stolen bitcoin deposits. It also offers the option for BitGo’s paying customers to sign up for additional coverage for an annual fee. Sagalow offered some insight into how the product works. Bitcoins can be stored in different ways. If they’re stored online, that should be evaluated as a cyber-risk by cyber-underwriters. If they’re stored on a computer, “the security of the files depends on how secure the computer is.” And if they’re stored on paper, they require fidelity insurance. There’s also that anonymity factor. “The fact that ownership is anonymous is a frightening fact for insurance underwriters,” Sagalow said, “because it’s the opposite of what they’re used to.” Electronic files tied to personal information, such as Social Security number, date of birth, mother’s maiden name—that’s what underwriters are used to.